As 2017 is almost finished, it’s time for a little throwback into this past year. 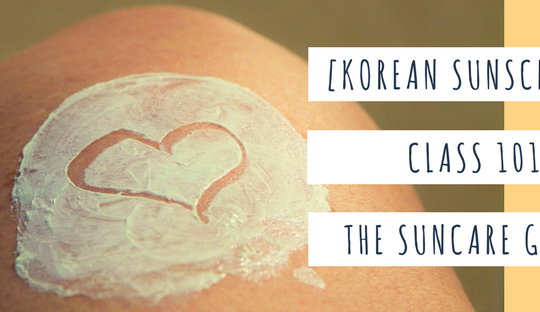 2017 was pretty busy for Korean beauty lovers especially for their Korean skincare routine. 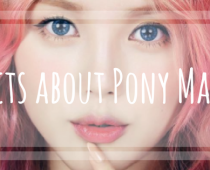 Let’s have a recap of all the major Korean trends. 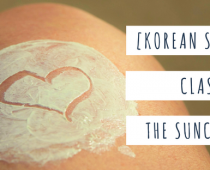 Korean beauty is mainly based on different layers of products, hence their perfect moisturized skin. However this technic consists to use different product for each distinct layers. 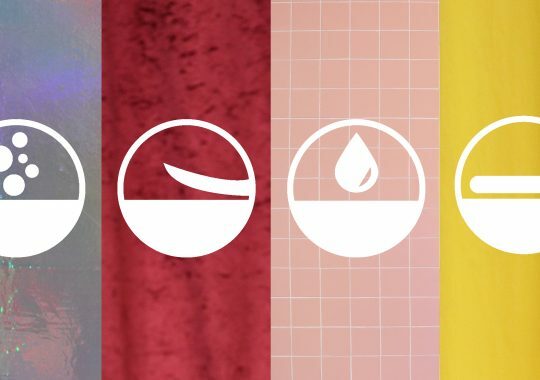 The “7 layers of toner” focus only one product: the toner or a mix between essence and toner. Immediately after cleaning the face skin, the toner must be applied on damp face. If the skin is already dry, the liquid will not perfectly penetrate in skin’s layer. To avoid skin irritations, cotton pad can only be used during the first step. For the remaining ones only apply toner with your hands. After the first toner application, wait a little bit until your skin is damp. That’s mean the product has effectively enter into the skin. Repeat these following action six times. The idea behind layer so much toner liquid on your skin is to help your skin drink the product. For people with really dry skin, this layering process will be very effective. 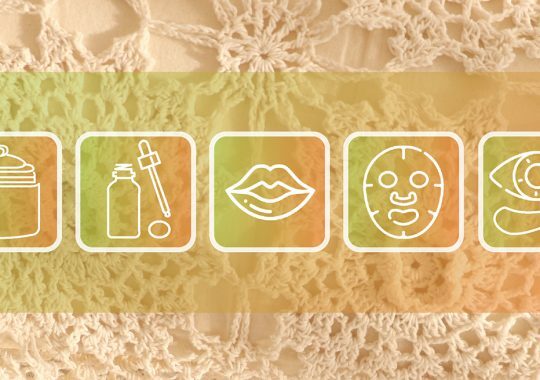 For people with oily or normal skin, sometimes seven layers can be a little bit too much. Also, this approach can be a little bit costly due to the multiple uses of products. 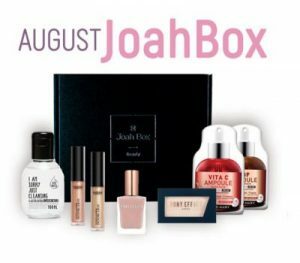 During the past year, many Korean makeup products choose to license some of their products to offer cuter packaging and a funnier Korean skincare routine. Let’s review some of the most famous licensing collaborations. Pokémon are back. Due to Pokémon Go huge success, the Pokémon are back in your bathroom. 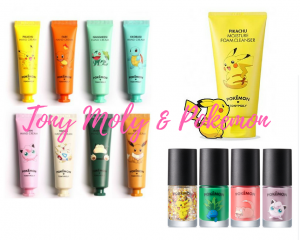 Hand cream, foam cleanser, facial wash, you need to catch them all. Korean makeup brands love Disney characters. The Face Shop launched in 2017 an entire Disney-themed collection. Disney princess face masks, Donald Duck concealer, Mickey Mouse Lip tint, all your childhood characters mixed with your favorite products. 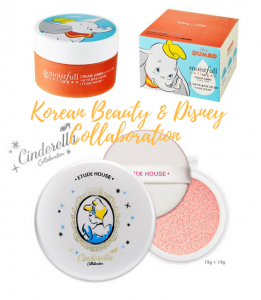 Etude House also collaborated with Disney this past year. However, the brand chose to focus on one particular character: Dumbo for a moisturizing line and Cinderella for a color-correcting cushion. Speaking of color-correcting, this Korean skincare routine was a huge hit in 2017. How does it work ? Color-correcting asks you to identify three things. First, where do you need to correct (is it around your nose or your eyes for example)? Then you need to identify what you need to correct (redness, dark spots) and then which color match for these particular imperfections. 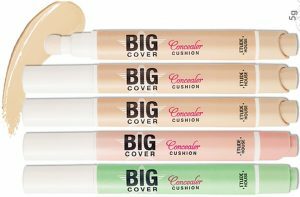 Each Korean beauty brand launch color-correcting products like for example Etude House and its Big Cover Cushion.